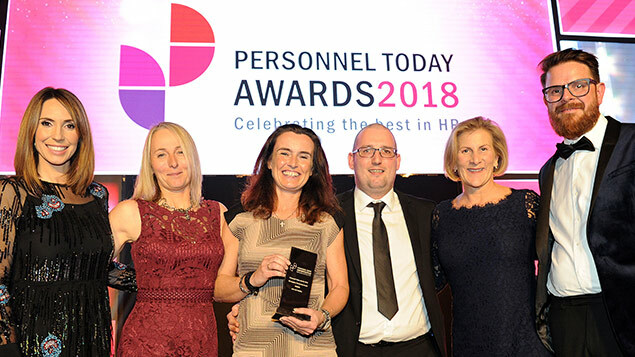 Let’s Get Healthy landed the HR Supplier Partnership Award, the category of the 2018 Personnel Today Awards that recognises HR suppliers’ achievements. It was a tough decision by the judges because the shortlist featured a number of innovative wellbeing initiatives, reward schemes and major cultural change programmes. Let’s Get Healthy is a health and wellbeing provider offering a range of services from mental health campaigns to resilience building for teams. In 2016 it was approached by the Co-op, where the 70,000 strong workforce had recently gone through a major change programme. 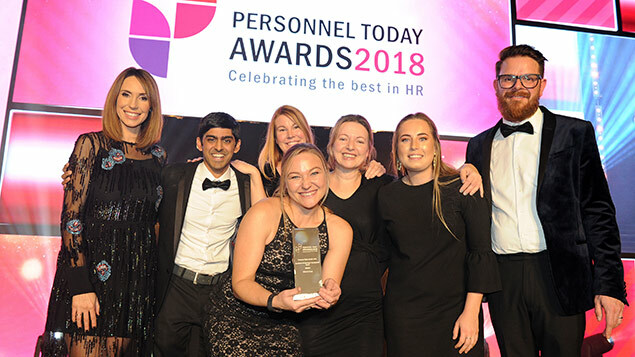 The retail chain recognised that with the immense change, as well as a change of demographics in the workforce, it had to improve colleagues’ mental health and resilience. Let’s Get Health created Buzz, an eight-week campaign designed to improve mental health, together with a number of interactive online programmes set up to prompt employees to think about their stress levels and wellbeing. The programmes have improved customer satisfaction and the Co-op estimates they have generated £684,000-worth of customer retention. Let’s Get Healthy has also worked with building company Travis Perkins, where it produced a branded campaign called Thrive aimed at reducing absence among warehouse and logistics workers. A two-year programme also aims to increase quality of sleep and boost energy, reducing the number of “near misses” or safety incidents. Another customer is ACCA (Association of Chartered Accountants), which engaged Let’s Get Healthy to boost resilience, maximise mindfulness and improve performance during a period of change. In 2017, Innecto Reward Consulting worked with more than 100 companies and achieved record year-on-year growth of 33%. It prides itself on not taking a one-size-fits-all approach to reward, delivering solutions to companies’ exact requirements across different sectors. One of its highlight clients has been Publica – a “Teckal” company comprised of Cotswold, West Oxfordshire, Forest of Dean District Councils and Cheltenham Borough Council. Publica needed a harmonised approach to reward that reflected its new structure and culture, and to attract new talent. Innecto worked with the company on focus groups, external benchmarking and coming up with a business plan and culture change programme. Once the strategy and solutions were in place it provided a full communications strategy. Now Publica has a “clear understanding of the impact that our pay and reward offering has on our culture”, and is able to use the insight to shape future business requirements. Other clients Innecto has worked with include financial services provider Old Mill (establishing a fair and consistent pay policy) and retailer Charles Tyrwhitt (addressing turnover and building an overarching reward strategy). In 2015, Interactive Workshops worked with Savills UK to address the fact that employees – especially millennials – were leaving the business within the first few years of joining. This meant it was at risk of losing talent and falling behind competitors. IW created a suite of three management and leadership programmes, which gave the business a simple structure to buy into and a clear development pathway for employees. The three programmes are: Empower (younger employees are equipped with skills for success both internally and with clients); Engage (bespoke business simulation to help address people management challenges); and Inspire (leadership development). IW helped to design the plans, engage the business in the programmes and facilitate interactive sessions. It threw out the training manual approach and created beautiful magazines as resources. In Empower, the cohorts are bigger so participants can network and boost confidence, while the Engage programme offers a layered learning experience so employees can switch between learning and practice. The impact has been impressive: one department has turned a 10% loss into a 15% profit, another’s turnover has increased by 20%, and profit has increased from 35% to 45%. Some of the programmes are now being rolled out in the Asia Pacific region thanks to their success. Real People is a social enterprise HR consultancy working to improve management development and HR to a client base of mostly charities. All of its profits are put back into charitable organisations. The aim is to improve in-house capability and confidence in HR and management so organisations are not dependent on Real People in the long term. The consultancy has had large-scale formal partnerships with membership organisations Locality and Emmaus UK for six years. Through Locality around 400 charities and community organisations access a helpline, policies, procedures and subsidised support, while Emmaus Communities can access four hours’ support annually and strategic support when they need it. This helps the communities move forward and resolve issues rather than wasting resources firefighting them. 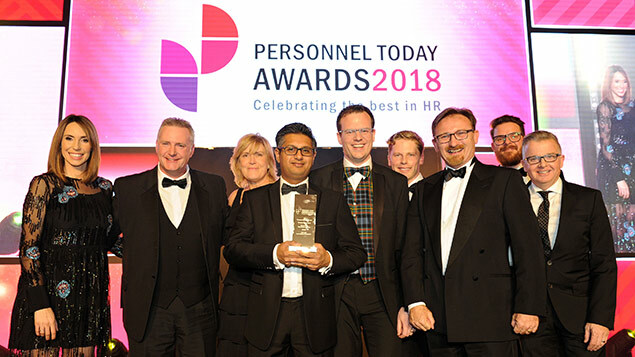 Real People has helped one customer reduce absence from 2.1% to 1.6%, saving £70,000 on the staffing budget, while there has been a 30% increase in compliance with management policies in another customer organisation. A cultural change programme at Katherine House Hospice has helped the organisation to significantly decrease absence from nine days per year to four and an improvement in communication between staff and senior management. The Amy Winehouse Foundation said Real People had helped it “deal positively with myriad complicated situations” and receive up-to-the minute training. Rosetta also delivered an “English screener” test to measure the proficiency of front-of-house staff as part of the company’s learning needs analysis. Monthly usage reports were sent to line managers, and at three and six months of use, employees were asked to feed back on their learning experience. This feedback has been extremely positive – 70% of employees believe it has improved their English, employee retention is higher, and negative customer feedback about language skills has gone down 35%. Saberr’s software tool, CoachBot, claims to be the world’s first digital coach. 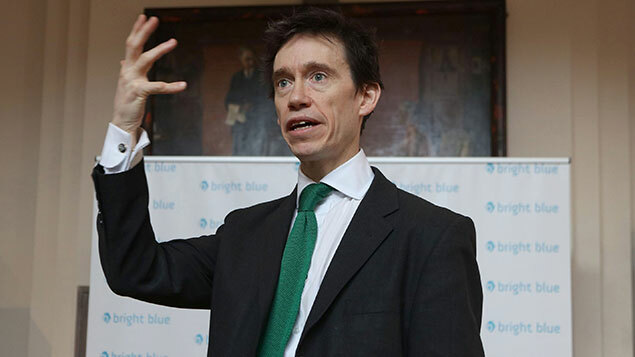 According to research by Michael West at health research organisation The King’s Fund, 20% better team working in NHS trusts could result in 5,000 fewer avoidable deaths every year. With this in mind, Saberr’s work with the Eastern Academic Health Science Network aimed to create higher performing teams and better outcomes for patients. CoachBot was introduced to the Eastern AHSN and the Hertfordshire Partnership NHS Foundation Trust at a cost of just £96 per person per year, offering team coaching to staff who would not normally have had access to it in the past. It is more time and cost-efficient than offsite training and frequently prompts staff into actions relating to both their goals and those of their team and employer. Instead of a day lost caring for patients, CoachBot takes only 1.2% of total working hours spread over the course of a year. Since the end of 2017, awareness of CoachBot has grown and several other NHS Trusts are looking to implement Saberr’s technology. Stacie Coburn, principal adviser at Eastern AHSN, says: “What really stood out about Saberr was its data-driven approach and the huge amount of research at their fingertips regarding what makes an effective team.” Consumer goods company P&G has also used CoachBot to build team effectiveness and users have said it “has helped us have a more open dialogue… to identify key issues within the team”.